Shannon majored in professional communication and earned a paralegal degree in 2009. 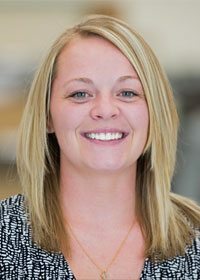 She worked as a paralegal for a couple of years in a criminal defense firm before joining a field service software company as a quality manager to teams based both overseas and in the U.S. She then brought her knack for problem solving, communication, and customer service to Retail Tech in 2015. When she is not in the office, Shannon enjoys fishing on water or ice, baking, cleaning, and spending every extra minute with her husband and three children.